The first The-Zone Rec vinyl, finally on digital! After the great success of this summer, Logotech strike back with this amazing release now in digital! 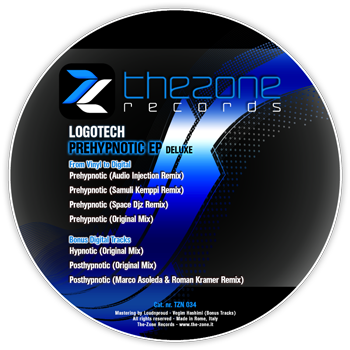 Prehypnotic original with great remixes from Audio Injection, Samuli Kemppi, Space Djz, and with some great bonus tracks: Hypnotic and PostHypnotic original mix, where you can find all logotech’s rythms and styles. 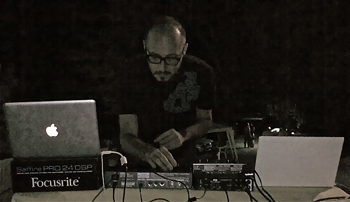 Including a special remix from Marco Asoleda e Roman Kramer. You can’t miss this release! From one of the best techno vinyl, coming a great OMG Techno digital release!